The latest report of the International Monetary Fund (IMF) published last Friday, says that Sierra Leone’s economy will grow by 13% in 2013, falling two percentage points from the 15% economic growth achieved in 2012. And with African Minerals Ltd., – Sierra Leone’s largest iron ore mining producer, this week announcing a very poor and gloomy production forecast, which will see export by the company fall in 2013 by over two million metric tons to 13 million tons, there are concerns the economy may be heading for a sharp decline. The company has also announced that it will now shelve its $2.5 billion investment in iron ore production in Sierra Leone, following consultation with the Shandong Iron & Steel Group of China, who invested $1.5 billion in African Minerals last year. Although the IMF is forecasting economic growth to rise by 14% in 2014 – up 1% on 2013, it seems quite reassured of the government’s management of the economy. But analysts are less confident of the government’s macro-economic performance, which they say could see public spending rise above revenue, much sharply than expected. So why is the IMF optimistic about the country’s overall economic prospects? The IMF mission led by Ms. Malangu Kabedi-Mbuyi, which completed its review in Freetown last Friday, met with the minister of finance and economic development – Kaifala Marah, the Central Bank Governor – Sheku Sambadeen Sesay, and other key senior officials in the Koroma government. 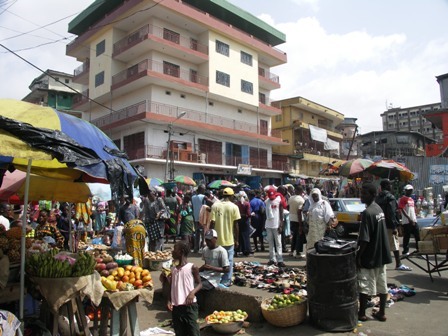 Last week’s meeting in Freetown was a follow-up on previous discussions held in May, assessing Sierra Leone’s economic and financial program for 2013–16, which the IMF says it could support under the Extended Credit Facility (ECF). It is not yet clear how much the government of Sierra Leone would receive under the new programme, but there are speculations that funding could be more than $15 million. 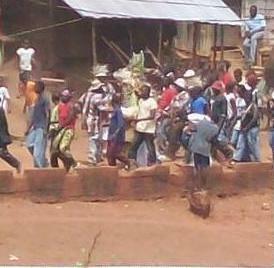 At the conclusion of its meeting with the government in May, the IMF said this about the country’s 2012 economic performance: “Sierra Leone’s economic growth accelerated to 15.2 percent in 2012, reflecting the emergence of large-scale iron ore extraction as well as sustained expansion in agriculture, services, and construction. “In the fiscal area, the overall budget deficit reached 5.6 percent of non-iron ore GDP, up from 4.6 percent in 2011, partly reflecting infrastructure investment scaling up and higher spending in goods and services. “The deficit was financed largely with short-term treasury bills. For 2013, the budget deficit would be contained below 4 percent of non-iron ore GDP, thanks to the expected increase in revenue mobilization, and enhanced expenditure management. “Consumer price inflation declined from 16.9 percent in 2011, to 12 percent in 2012, aided by prudent monetary policy and stable exchange rate. It is forecast to decline further in 2013. Sierra Leone’s external position improved in 2012, strengthening the reserve coverage. But all that optimism was back in May; four months on, has the government kept its promise of strong fiscal policy management, and has the IMF maintained its forecast? Ms. Kabedi-Mbuyi said this in a statement in Freetown last Friday: “Preliminary data indicate that macroeconomic developments were positive in the first half of 2013. Economic activity was strong and consumer price inflation declined. “In the fiscal area, revenue performance exceeded expectations, and expenditure execution was consistent with budgetary appropriations. “These developments augur well for the 2013 projections that set growth of real Gross Domestic Product (GDP) at about 13 percent; the inflation rate at 9 percent; and the overall budget deficit at 3.1 percent of non-iron ore GDP. “Revenue collection efforts are expected to continue to increase fiscal space for priority spending. The overall budget deficit is projected at 4.5 percent of non-iron ore GDP. “Key structural reform areas are: private sector development, financial sector development and access to financial services for small- and medium-sized enterprises, and public financial management. With the recent report of the country’s National Revenue Authority (NRA) exceeding its taxation revenue collection by Thirty-Nine Billion Leones, both the IMF and the Koroma government have much to be hopeful about. 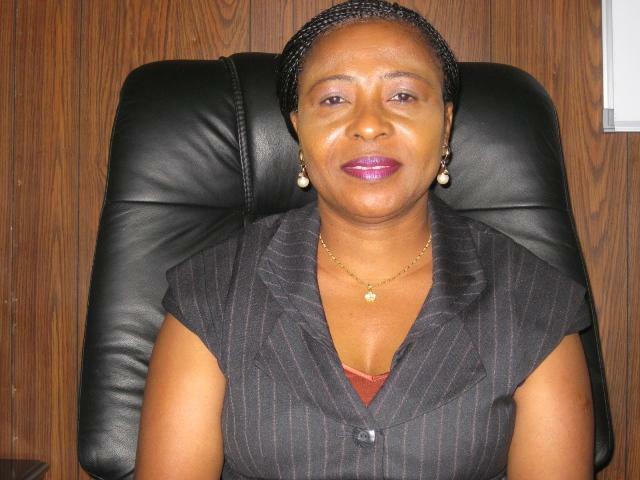 The Revenue Authority Commissioner – Ms. Haja Kallah Kamara announced two weeks ago that the NRA has collected Le 1.081 Trillion in taxes, compared to the expected revenue forecast of Le 1.042 trillion predicted for the first half of 2013. This performance by the NRA is more than 20% better than what it was able to achieve for the same period in 2012 – January to June. But analysts say that any decline in the production and exporting of iron ore, as predicted last week by African Minerals is likely to have a huge impact on the government’s 2013/2014 revenue forecast. The world market price for gold and other precious minerals slumped in the first half of this year compared to 2012. And the prospects for the remainder of 2013 and early 2014 are no better. Iron ore production in Sierra Leone has been the driver of the country’s economic growth figures, which has not translated into rising personal incomes for the population, as poverty continues to grow. African Minerals Ltd., the country’s largest iron ore producer is reported to have cancelled plans for the expansion of its mines, port and rail facilities at Marampa. The Marampa expansion was projected to increase the company’s production capacity by 15 million, bringing its annual tonnage to 35 million. With the company announcing last week that it will now shelve its $2.5 billion investment in iron ore production in Sierra Leone, questions must be asked as to how the government will make up the shortfall in export revenue in 2013/2014. According to reports, African Minerals’ shares value also fell in London by 17 percent to 161.75 pence at the close of business last Thursday, bringing the cumulative decline of the company’s shares value this year to a high of 49 percent. With the Koroma government’s over-reliance on the exporting of iron ore, and an economy that is being run on a single track, the need for industrial diversification cannot be overemphasized, and the IMF are just too aware. So, is the IMF’s optimism about the prospect for Sierra Leone’s economy misplaced, given the continuing decline in demand for base metals in the global market, especially China’s industrial contraction? Concluding its economic assessment report last Friday in Freetown, the head of mission said: “The mission and the authorities agreed that to consolidate progress made in recent years toward macroeconomic stability, and enhance prospects for broad-based and inclusive economic growth, it would be critical to maintain prudent and sound economic policies, advance structural reforms, and develop social protection systems. “The authorities reiterated their commitment to fiscal discipline, tight monetary policy in support of single-digit inflation, and prudent borrowing. “The mission confirmed understandings reached with the authorities earlier in 2013 on a medium-term policy framework that would underpin a three-year ECF-supported program. “It is expected that the IMF Executive Board would discuss the authorities’ request for a new program, together with the 2013 Article IV consultation in the coming weeks.